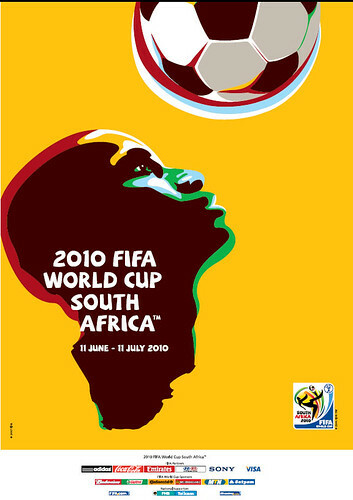 For those following the world cup, check out friend of the blog Jon Winet's site Goal 2010 throughout the tournaments for updates. Sheesh. Thanks for the vote of confidence. I'll do my best to deserve it. I pretty much started from scratch this morning and plan to go a bit haphazardly from from now to July 11 [and likely a bit beyond] hopefully focusing on some interesting issues. I welcome Train of Thought readers - and even more so - Train of Thought contributors. I welcome your comments, suggestions, links to interesting material and willingness to be interviewed via Skype. In all events, I'll be reaching out in the days to come. NB: I've just added some perhaps useful links in the right hand column of the blog, including links to South African media. "Are we having fun yet?!" The Idiocy of the "Deficit Hawks"
Attention Guys in Costumes: Gather Your Armies! "We Waterboarded Khalid Sheikh Mohammed"
"I would like my life back."